The picture here alludes to a poem by an Irish poet. A free copy of Richard Murphy’s In Search of Poetry to the first and only to the first person to identify the poem. Enter the name of the poet concerned in the subject line of your email to info@clutagpress.com – we’ll publish In Search of Poetry towards the end of April. 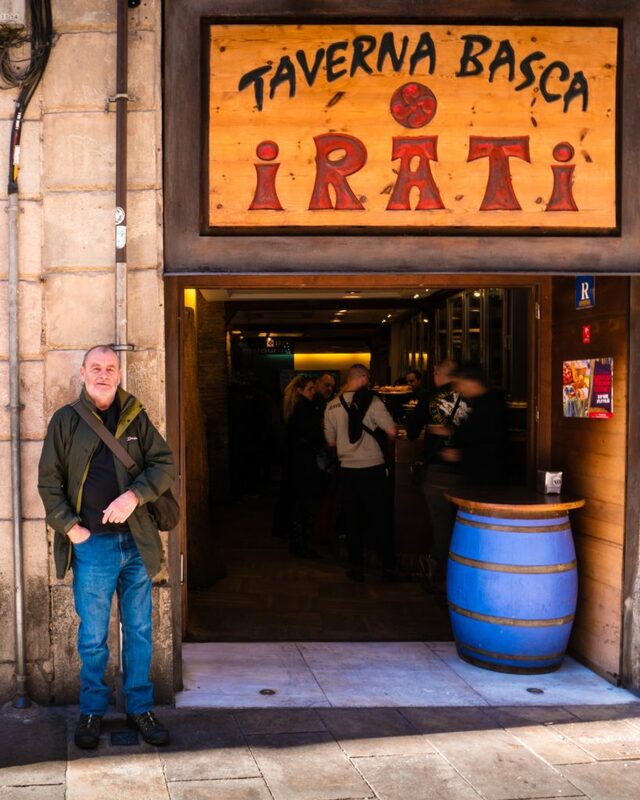 The photograph here, taken by John Sullivan, shows the editor of Archipelago on a recent revisit to Barcelona, outside the Basque Tapas Bar IRATI where the venture was first conceived and aired in a conversation with John, over ten years ago. Issue 11 of Archipelago is selling well. Issue 12 has been postponed to the end of 2018. That year will also see publication of a volume of essays called DEAD GROUND edited by Andrew McNeillie and James McNeillie, about which we will post full details a little further down the line. 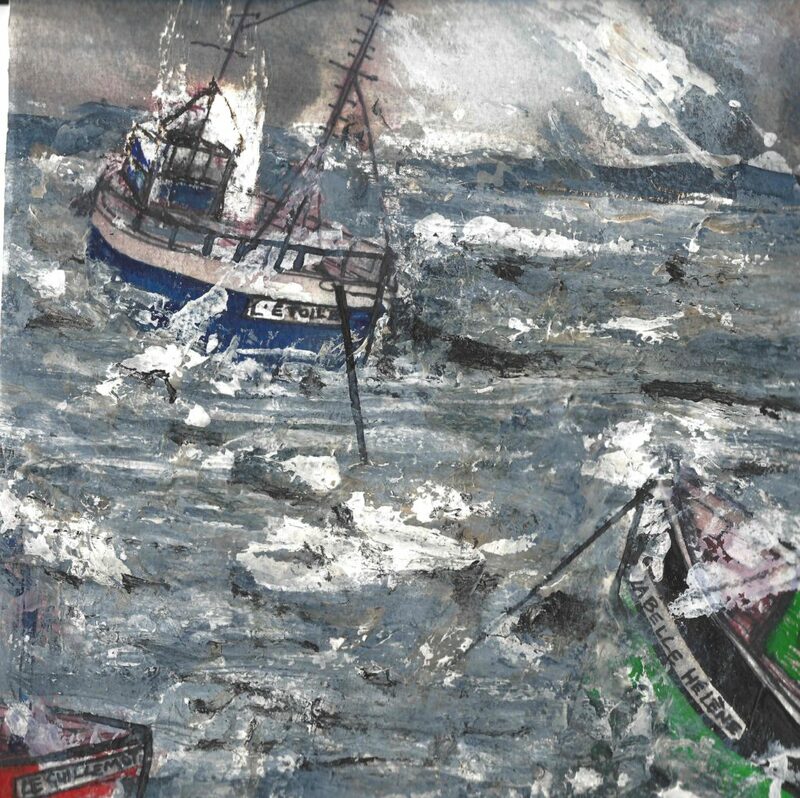 We are especially pleased to announce publication of Patrick McGuinness’s Five Poems – No. 15 in the Clutag Five Poems Series. Please visit the website ‘Shop’ and order your copy.